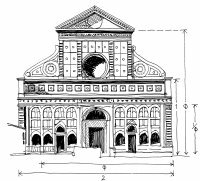 The history of architecture is an awesome and incredible unfinished story of human development, and reveals an endeavour which has moved human beings for centuries to the achievement of some of its most extraordinary accomplishments. It is a very rich arena in which to find a greater meaning and purpose for our own lives today. Many examples of sacred architecture can be considered to be an expression of the opportunity and longing to design and build an ecology which is sympathetic and ‘of kind’ to a greater template. The real source of design can come out of a much richer place than the personalised ideas of any one designer, as is often the case today; and can originate from the profound understandings of how nature works so exactly throughout every living thing, and from the awesome and incredible ways we as human beings have been profoundly designed. 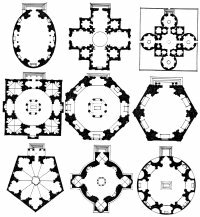 For instance, the designers of the great gothic cathedrals, such as Chartres, had a deep respect and reverence for the fundamental laws of nature which do not change, and endeavoured to arrange their buildings in harmony with these very important examples of natural order. The Pythagorean belief, that "everything is arranged according to numbers" became the framework for design and the basis of the Renaissance theories of proportion of arithmetic, geometric and harmonic scales found in architecture as well as in other forms of art. 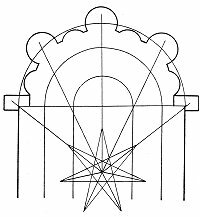 The numbers which emerged from the 3 4 5 'Pythagorean' triangle provide beautiful symmetries for natural forms, and became the inspiration for ground floor plans in Renaissance architecture. "What is God? He is length, width, height and depth". St. Bernard of Clairvaux. Many examples of architecture have been designed according to the sacred proportions of 16:10, or Ø, Phi. The Golden Mean or Section, which was seen to be a divine and sacred ratio which governed all growth patterns. The Fibonacci Series, named after the 13th century mathematician, further drew attention to this fundamental growth pattern as follows: 1, 1, 2, 3, 5, 8, 13, 21, 34, 55, 89, 144, 233 which is a simple additive progression (ie 2 + 3 = 5, 5 + 8 = 13) in which the proportional increase is always Ø, the Golden Mean or Section, 10:16. 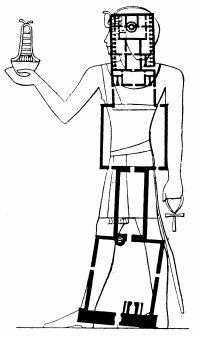 The Roman architect Vitruvius carried out extensive studies into sacred proportions and came to the perception that the number 16 is sacred because 6 and 10 are the foundation for all proportions of the human form. These numbers became the template of proportions for many Roman temples. It has also been discovered that the pentagram is the only symbol which has within its design this divine proportion of growth 10:16 or Ø. Therefore the human form, being a pentagram, was considered to be a significant symbol of growth, within the greater context. The placing together of the square and the circle is a fundamental pattern of many other architectural forms. The 21st century has largely become adrift and cut off from the permanency of all that we live within and therefore much of all that we have designed and created in the modern world appears to be alien to the natural design of ourselves. We can search today in our own lives for those frameworks upon which nature is designed so that we can build our own foundations and frameworks in sympathy with what already is in place, and which has already been put in place by a greater architect than ourselves.